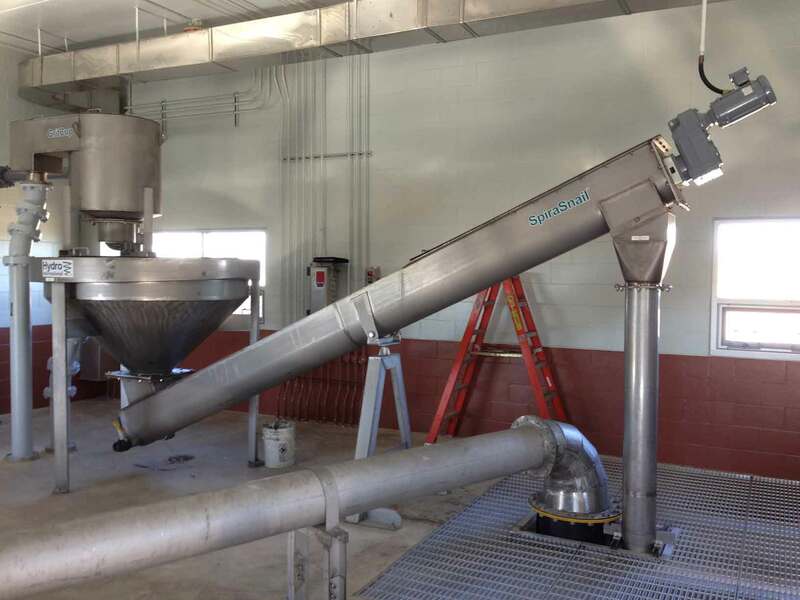 Get efficient, economical grit dewatering at smaller plants with no washwater requirements. The SpiraSnail® is a highly efficient screw-type grit dewatering system that delivers 95% removal of all particles 106 micron and larger and 75% of 75-106 micron particles to cut solids handling and disposal costs. Designed to work in combination with a Hydro International separation and washing unit such as a Grit King®, the SpiraSnail® provides effective, affordable grit dewatering for smaller plants that demand high performance. The SpiraSnail® is specifically designed to provide dedicated dewatering for the output from high-performance Hydro International grit separation / washing units such as the Grit King.® The SpiraSnail® provides effective, affordable grit dewatering that is ideal for smaller plants with peak flows of up to 10 MGD. Unlike conventional washing and dewatering screws that attempt to wash and dewater grit in the same process, the SpiraSnail® is only used for dewatering. 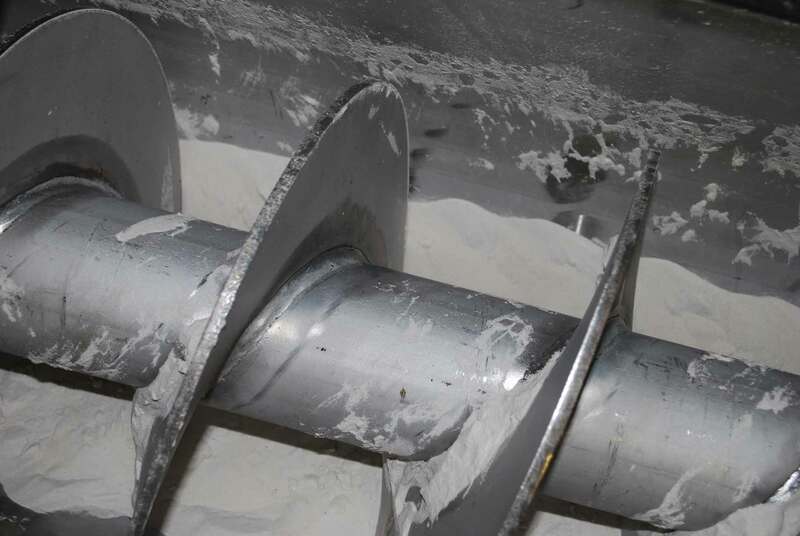 Combining washing and dewatering in the same process results in turbulence that churns up fine grit and allows it to be released back into the plant. By focusing just on dewatering, SpiraSnail® screw speeds can be slower, allowing retaintion of fine grit while outputting a clean dry product with low organics and water content. 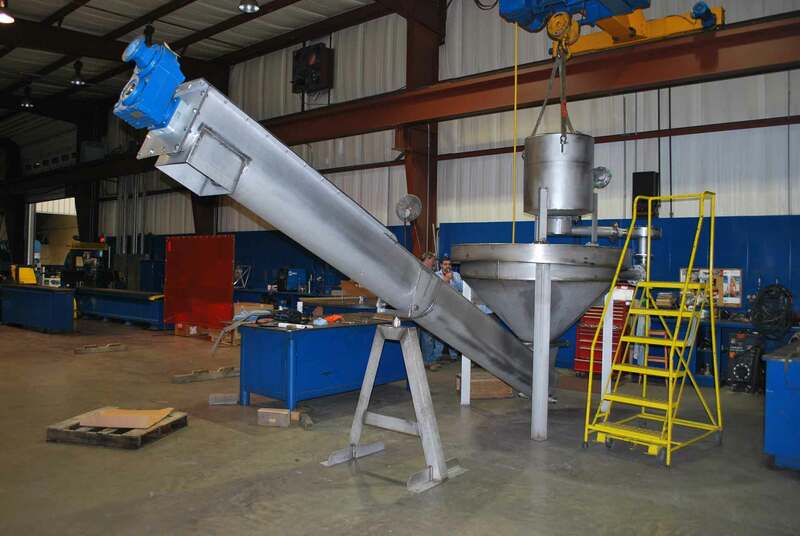 Its unique clarifier design, low loading rates, and slow screw speeds mean that the SpiraSnail® provides high capture efficiency while minimizing re-suspension of captured materials, and its low number of wear parts, easy access for maintenance and washwater-free operation keeps operating and maintenance costs to a minimum. You can watch a brief video demonstrating the SpiraSnail® here. Download the SpiraSnail®brochure here. Having been designed specifically to address flows of up to 10 MGD peak, the SpiraSnail® is optimized for use at smaller plants - meaning that it is able to provide efficient, economical dewatering while maintaining the standards of performance that wastewater treatment plant operators demand. The SpiraSnail® is designed with the operator in mind. 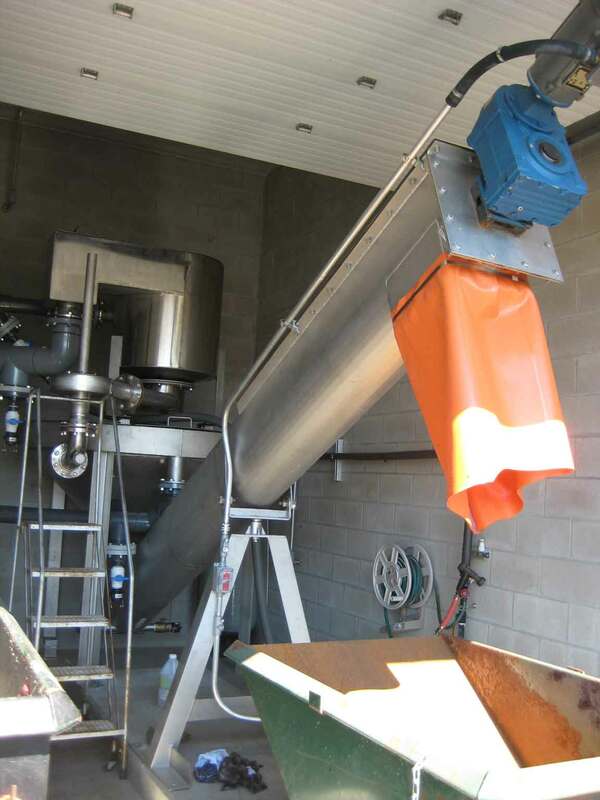 Its minimal number of wear parts and easy access for maintenance reduce operating costs, maximized internal clearances prevent clogging, and a unique clarifier design allows the auger trough to be rotated away from the clarifier, allowing maintenance even while the unit remains full of water. The SpiraSnail® is a fully enclosed system with easy access when you want it open and secure closures to minimize odor issues. The SpiraSnail®'s shafted screw design prevents the need for difficult to replace liners or steel wear bars, and the 4 bolt external bearing can be accessed from outside the trough, saving both time and money when it comes to inspection and maintenance. 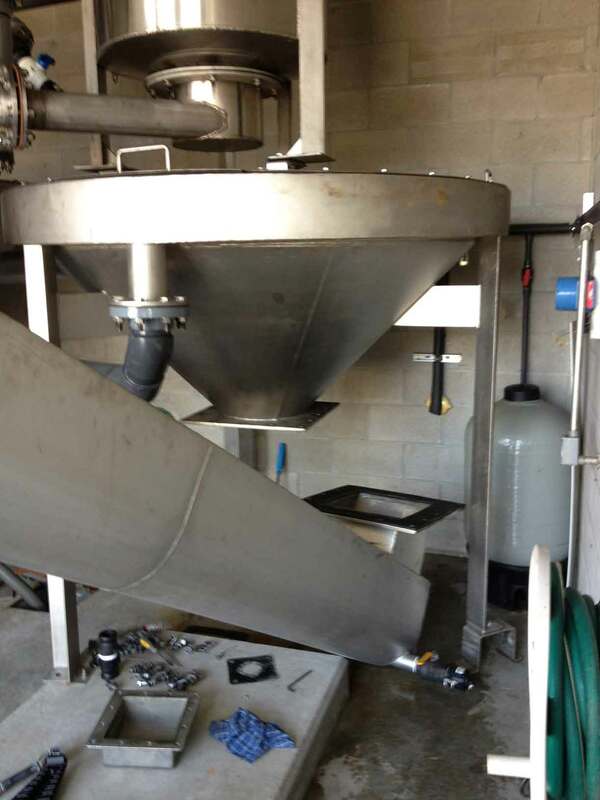 Flow from the grit washing system is introduced tangentially into the SpiraSnail® clarifier to begin the dewatering process. 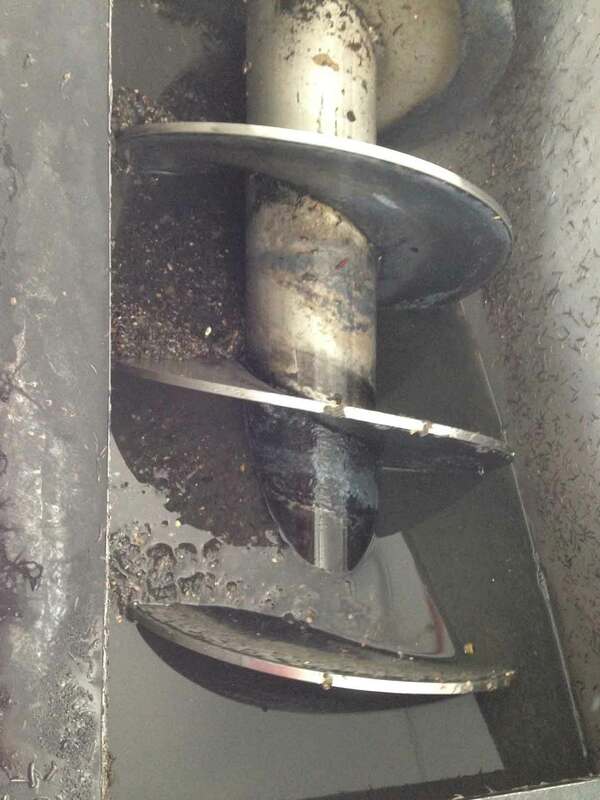 This tangential entry forces the grit to the outside of the clarifier cone. From the outside of the clarifier cone grit settles into the SpiraSnail® conveyor trough. 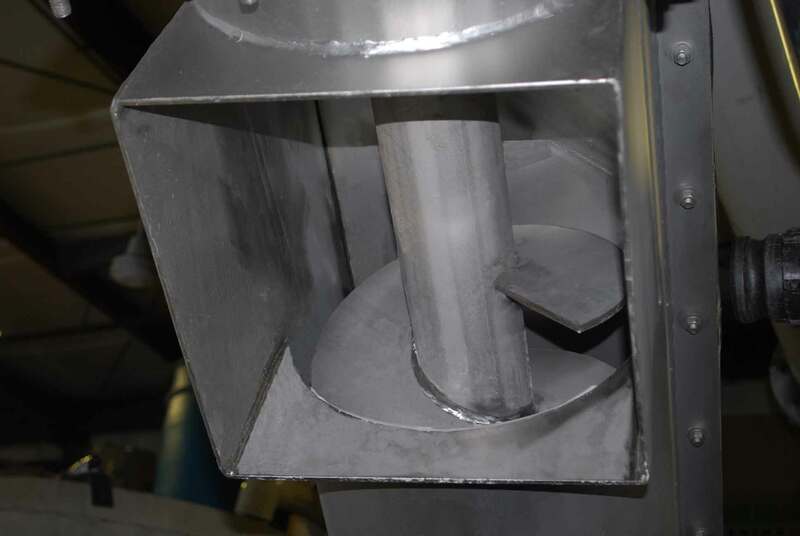 The slowly rotating shafted screw conveys the captured grit and dewaters it as it moves towards the discharge chute and into the grit receptacle ready for landfilling. Clarified water passes over the perimeter weir before being sent back to the plant for further treatment. Unlike conventional screw classifier systems, the SpiraSnail® is only used for dewatering and not grit washing. This reduces the speed at which the screw needs to rotate, thereby minimizing the turbulence that would otherwise release captured fine grit particles. A.The SpiraSnail® has a unique clarifier design that reduces turbulence. This, combined with the fact that the SpiraSnail® is only used for dewatering, results in increased overall performance. A.The SpiraSnail® does not require any washwater to operate. Washing is typically performed by a Grit King®, SlurryCup™, or TeaCup® system. A.Absolutely. A SpiraSnail® dewatering system is the ideal choice for smaller plants looking to upgrade their grit systems in retrofit applications. A.The SpiraSnail® dewatering system is recommended for plants with peak flows of less than 10 MGD. Please contact us to discuss your operating conditions and requirements. Additional details covering SpiraSnail operation and configurations.